Home » News » World-First Parkinson’s Research: Is Australia Already Embracing Risk? Although being brought to public attention in modern times by celebrities such as Michael J.Fox and Muhammad Ali, knowledge around Parkinson’s disease still remain relatively unknown. One in every 200 individuals will be diagnosed with Parkinson’s disease and the reason why the disease develops, or a cure, remains unidentified. In fact, it is the second most common neurodegenerative disease and affects over seven million people worldwide. In light of trying to find a suitable cure, Australia has been chosen to participate in a world-first trial of a possible stem cell therapy treatment. The research trial prompts the question, is Australia already starting to embrace risk? The Innovation Statement released last week announced 24 innovation measures and aimed to transform Australia’s risk adverse culture. Certainly, research such as this is innovative and could have significant impact on those with Parkinson’s. Undeniably, increasing the impact of Australia’s world-class research in communities at home is a goal that researchers, industry and the government shares. 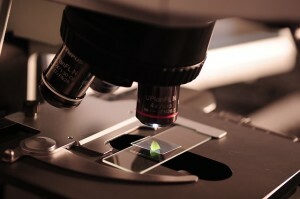 The trial, by the Californian-based International Stem Cell Corporation, will be held at the Royal Melbourne Hospital. Twelve patients, with moderate to severe Parkinson’s disease, will have between 30 and 70 million neural cells implanted into their brains. Moreover, this is the first Parkinson’s trial that will use replacement brain cells grown from stem cells. Indeed, the Research and Development Tax Incentive is an attractive incentive for undertaking research activities in Australia. In fact, according to The Sustainable Tourism Cooperative Research Centre, Australia’s R&D spending has increased about fourfold over the past three decades. 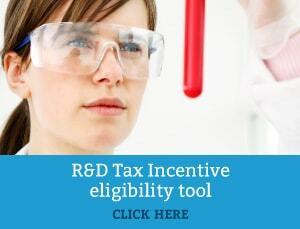 The R&D Tax Incentive offers companies a heavy cash refund of up to 43.5 cents in the dollar for eligible activities for Australian firms. In addition, the legislation expanded the incentive in 2011 and the 43.5 cent ‘cash back’ benefit became available to some foreign companies who undertake R&D in Australia. Read more about the foreign R&D tax offset here, or if you want more information on domestic R&D , check out our Eligibility Wizard to find out if you can claim costs under the current R&D Tax Incentive.